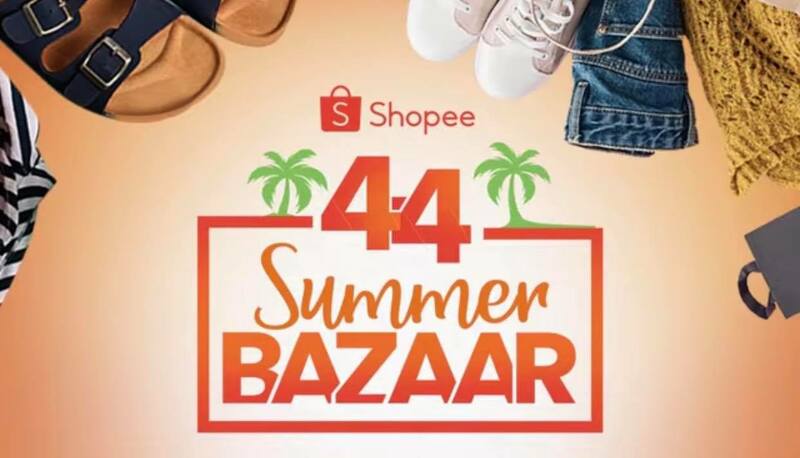 A Summer Getaway and Discounts up to 90% off heat up the Shopee 4.4 Summer Bazaar on April 4. 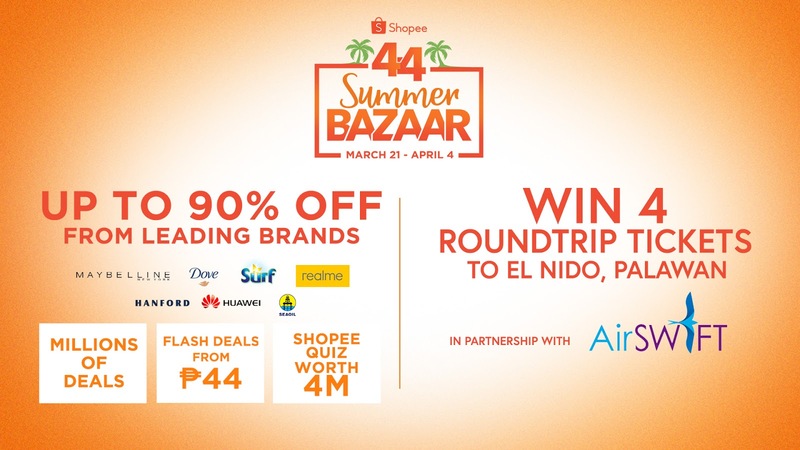 Users can look forward to an exclusive P&G x Shopee Super Brand Day from April 3 to 5 and a sponsored trip to El Nido by AirSWIFT. On April 4, users can save big with up to 90% off leading brands and partners, including Maybelline, Dove, Surf, Realme, Huawei, Pedigree, Hanford, and Seaoil. Exciting prizes await users including a sponsored trip to El Nido for four from AirSWIFT. In addition, from April 3 to 5, users can look forward to the P&G x Shopee Super Brand Day, offering up to 30% off leading P&G hair care brands including Pantene, Head & Shoulders, and Rejoice. Users can also participate in the Shopee Human Flatlay social media contest, where users can win four round-trip tickets to El Nido care of AirSWIFT, and pocket money of ₱44,000 cash. To qualify for the contest, users should submit creative photos of their group doing a human flatlay featuring summer products found on Shopee from now until April 4. They must post the photos on Facebook and Instagram with the hashtags #ShopeeHumanFlatlay and #FlyAirSWIFT. The winner will be chosen and announced on April 6 on Shopee’s social media pages. ● Jamba Juice: Until April 7, Shopee users can flash their Shopee app at selected Jamba Juice stores to get an exclusive discount on any of their four Jamba Juice Best Blend Favorites. ● MVP Rewards: Until April 4, Shopee users can also get an exclusive ₱100 discount from MVP Rewards by using the code MVPREWARDS44 with minimum spend of ₱1000 upon checkout. Until April 4, users can also stand a chance to win an iPhone XS Max by spending at least ₱50 on prepaid mobile load and data on Shopee. Adding to the summer excitement, Shopee will partner P&G to launch the P&G x Shopee Super Brand Day across the region. In the Philippines from April 3 to 5, Shopee users can enjoy up to 35% off across P&G’s leading hair care brands including Pantene, Head & Shoulders, and Rejoice to address their scalp and hair concerns. In the Philippines, the most common hair concerns are hair fragrances and dandruff, which is why P&G will also be launching the Rejoice Perfume 2.0 and Head & Shoulders Subzero lines exclusively during the P&G x Shopee Super Brand Day to cater to the hair needs of Filipinos. Moreover, the two top spenders per day of the P&G x Shopee Super Brand Day will each get one of these amazing prizes, a Samsung Galaxy S10+, a Dyson Supersonic Hairdryer, or an iPhone XS Max. Shop the P&G x Shopee Super Brand Day: https://shopee.ph/m/super-brand-day.